Backup and recover everything faster — from client to cloud. More than 70,000 firms worldwide depend on Quest to protect their applications and data with an always-on, easy-to-manage infrastructure. Count on us for a ZeroIMPACT, full-system, instant-recovery solution that gets you back online in as little as 15 minutes. With ZeroIMPACT recovery, you can restore anything to anywhere and do it in approximately 15 minutes. Plus: Provide users with the data they request instantly, during restores, as if the outage never happened with Rapid Recovery. Safeguard and quickly recover your data and applications from unexpected failures with this affordable appliance-based solution. With the Rapid Recovery appliance, deploy a full backup and recovery solution in about 20 minutes with turnkey, wizard–driven configuration. Get data back up in approximately 15 minutes after an event for near-zero downtime. Shrink data storage by a 15:1 ratio and accelerate existing backup software — all for as little as $0.16/GB. The DR Series Disk Backup and Deduplication Appliances offer more speed, flexibility and reliability than comparable solutions, but with longer warranties (3 years vs. a 1-year standard) and 33% lower costs (no charges for protocol accelerators, replication, encryption or VTL support). Customers report saving 20 hours a week in administration, increasing performance by 10 times while reducing costs by more than $50,000. Given this, It's no wonder nearly 80% of customers switched from other vendors because their needs weren't being met. It's time to expect zero tolerance for downtime and zero budget needed for data loss. One Identity solutions eliminate the complexities and time-consuming processes often required to govern identities, manage privileged accounts and control access. Our solutions enhance business agility while addressing IAM challenges within on-premises, cloud and hybrid environments. It's time to optimize your environment and secure your Microsoft infrastructure to prepare for what's next. Discover how we can simplify and automate a wide range of Microsoft platform management tasks for Active Directory, Exchange, Skype for Business, SharePoint and Office 365. Improve security, auditing, compliance, visibility, provisioning and productivity with Microsoft platform migration and consolidation. Conduct real–time diagnostics and resolve problems through a single console — before users are impacted and enhance your ability to meet SLAs and maintain compliance with Microsoft performance and availability tools. Improve security, auditing, compliance, visibility, provisioning and productivity with Microsoft platforms security and compliance tools. Ensure compliance with HIPAA, PCI, SOX, FISMA, GDPR and more with audit–ready reports. Supported platforms include: Active Directory® (AD), Exchange®, Windows Server® and NAS filers®, SQL Server®, Office 365®, Unix/Linux®. Our award-winning solutions help you migrate, manage and secure your data across on-premises, cloud-based and hybrid platforms. Stop worrying about maintaining systems, and start focusing on innovation. See for yourself why our tools have been used to migrate, secure and manage more than 180 million users. It's time to automate routine tasks, provide high-quality data, standardize database performance monitoring, drive greater data availability and become more agile with our database solutions. Spend less time managing the environment, and more time building a data-driven business. As the top-ranked ISV for database management in the world, our solutions help simplify this complex technology and ensure optimal database performance across a wide variety of both on-premises and cloud-based systems. Take a proactive approach to data management. Re-focus your teams on more strategic initiatives, and move your business forward in today's data-driven economy with Toad Tools. Enables DBAs to quickly discover which applications and users are impacted by a database issue, maintain higher service levels and eliminate many time-consuming manual tasks with Database Performance Monitor. Replication that enables efficient data replication where it's needed most. Get unrivaled reliability with SharePlex whether replicating a production database for high availability or integrating data to other databases. These community-driven management solutions are trusted by four million data management pros across the globe and can speed development or help trim problem resolution time by up to 75%, and sharply reduce delays and downtime across your entire database infrastructure. 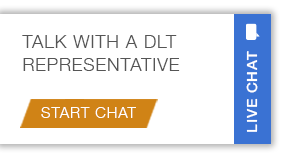 For more information, call 1-800-262-4DLT or contact us at ipm@dlt.com.